PIRATES OF THE CARIBBEAN 5 (AKA Dead Men Tell No Tales / Revenge of someone Spanish) and ALIEN: COVENANT have much more in common than you might think. Let’s investigate.. The first thing to note is the small yet important detail of chronology. I say ‘Pirates 5’ for the purposes of brevity. This is a series which never went with the obvious ‘1, 2,3’ etc titles, opting instead for the more complex subtitles that related nominally to a macguffin / object / task of the piece. ‘Pirates..’ is therefore not strictly speaking a sequential series; one could in theory dip into any episode on a serial adventure, save the godawful At World’s End, which had delusions of grandeur as a trilogy closer. So, if you hated Pirates 2, 3 and /or 4? No problem! Just ignore and restart here: another serial adventure day in the life of Captain Jack Sparrow. Alien: Covenant is also, technically speaking, Prometheus 2. Except that it also functions as Alien 5, ignoring the Alien v Predator two picture detour. In effect therefore, Pirates and Aliens are at precisely the same point in their own internal chronologies and that in itself makes for a slightly flexible narrative. That is potentially a huge advantage: discount any bad feeling from inferior preceding chapters and get back to the basics of the series beginnings, in both cases. Sadly, it’s also the MASSIVE missed opportunity defining both products. They get CLOSE, momentarily to capturing / re-capturing the magic. Indeed: just one look at the viral marketing campaigns and trailers indicated we were in for a real treat. But mere moments simply cannot sustain the magic for their full run times. To be fair, that’s an easily made mistake. A Director /star are no doubt given a brief to recapture old glories and yet not simply tread old ground. As Jack Sparrow himself might say, one might need ‘reconciliatory navigatory’ powers to reconcile those two antipathetic aims? That power eludes both the impeccable craftsmen that are Johnny Depp as lead actor in Pirates, and Ridley Scott as Director in Chief for Alien. If THEY cannot do it, nobody can, surely? Either way, there is just a little spark missing here, like neither man’s heart was truly in this. 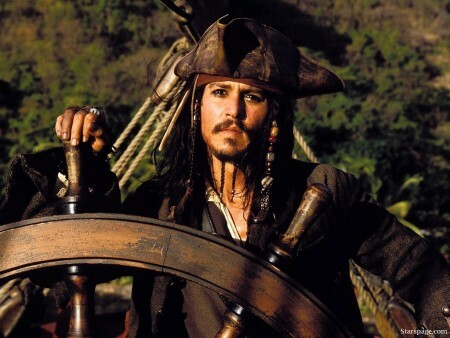 In Johnny’s case, one cannot detract from the fact that his Captain Jack Sparrow is one of THE great Cinema performances. Many try reducing it to ‘Keith Richards’. But it’s so much more and he rightly won an Oscar nomination for Curse of the Black Pearl. This was a genuine risk and innovation against the odds. 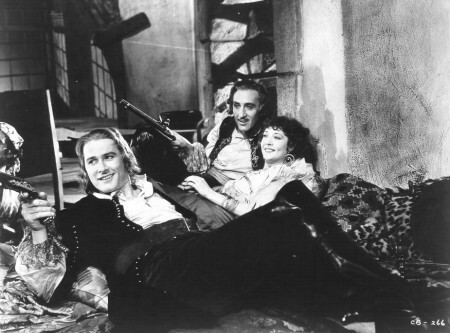 Johnny’s Jack was the central reason for the first film’s success. Heroic villain come villainous hero; clumsy and comedic yet competent and dashing, with a measure of mystery: a legend was born. As funny as Buster Keaton; as swashbuckling an action adventure hero as Indiana Jones or Han Solo and as high seas romantic as anything Errol Flynn, Douglas Fairbanks and their ilk gave us back in the golden age of movies. Every gesture, movement, delivery: at once complex and simplicity itself. Witness the ‘and my hat’ line from Curse of the Black Pearl. Sequels followed, and were welcomed because we WANTED more. Even his physical mime gestures are now so recognised that one need only move the hands / body in a certain way and kids from any part of the world ‘get’ the reference. ‘AH CAPTAIN JACQUES SPARROW’ (so said a bunch of French students once as I did my very best Johnny Depp/Captain Jack impression without so much as quoting a line from the script). True story and proof of the affection, worldwide, for this genius creation by Depp. And yet, as with anything: TIMING is critical. Show us too MUCH of a character and the novelty and thereby interest deplete to non existence. Leave them away too long and we simply forget and move on. We are fickle like that. Sadly, the PIRATES franchise managed BOTH mistakes! Initially, a saturated mess of forced continuity and rushed release (the painfully long AT WORLD’S END comes just one year after the so-so DEAD MAN’S CHEST), followed by an absence of a few years. Then ON STRANGER TIDES attempted to change the formula back to simple adventure fun, albeit too late, via a bloated and tonally blurred mess. And now? 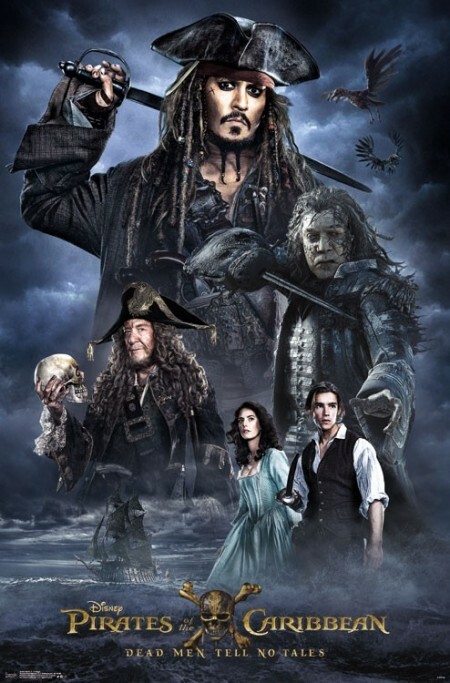 After a SIX YEAR absence: another outing that takes the best bits from all previous four outings and thereby resurrects the charm of Johnny Depp’s Jack. But it just FEELS too little, too late. Like the film was crafted by a committee that read the message board comments for the series on Rotten Tomatoes or IMDB. Yes, it works. But it’s functional. Watching this is like watching Depp doing an impression of himself doing an impression of Captain Jack, 15 years earlier. Ditto, the Alien. Like a Terminator, Predator, Dracula or Darth Vader and so on: the image of THAT thing as embryo / face hugger / full on dinosaur with fangs and ribbed sexualised endoskeleton is the stuff of legend. Problem? Once you go beyond the novelty of that core image from HR Giger’s design and Ridley Scott’s original vision: there is NOWHERE TO GO! Scott knew he was dealing with a one and done horror movie in space. THAT is why he never revisited the series, passing on ALIENS and ALIEN 3 and ignoring ALIEN: RESURRECTION and yes ‘those’ Alien v Predator spin offs. That meant that James Cameron gave us the definitive sequel in ALIENS: escalating the action and its mythos with Vietnam in space and a bigger scale yet rendering ALIEN 3 at once desired and redundant. Save the Vincent Ward vision of a wooden planet (missed opp! ), there was only repetition or contrived variation left as an option. The ONLY place to go was BACK. 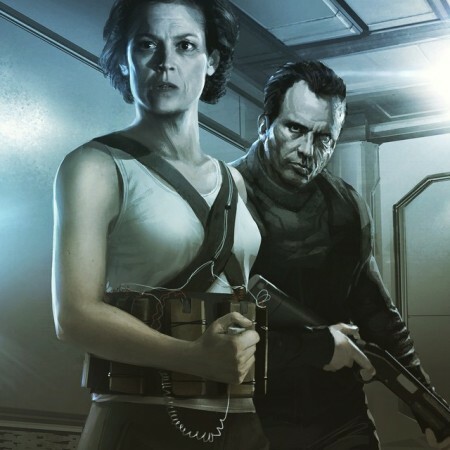 We could retcon and imagine Ripley alive and well and fighting the good fight with Hicks and Newt, 30 years post ALIENS (Alien 3 etc a hyperspace dream?). Neil Blomkamp suggested that very pitch and his artwork was a thing of brilliance: fan fic meets legit proposal. Who stopped that moving forward? 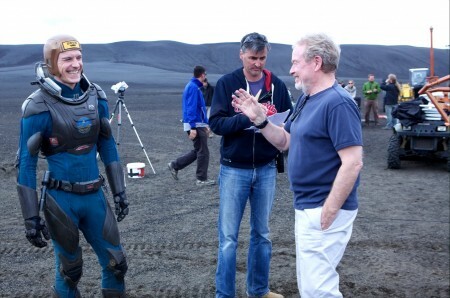 Why, Ridley Scott! Because he had unfinished business. 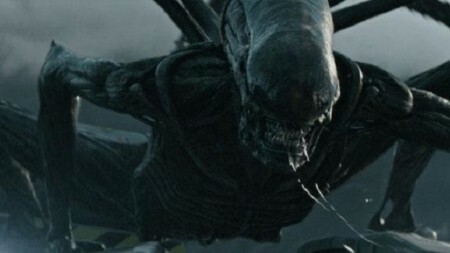 The studio had allowed Scott to revisit the Alien brand and impose his own separate philosophical concerns with mortality and creation: 2012’s PROMETHEUS. The film did just fine; but many (myself included) felt robbed by a movie that teased some connection to previous films in the series, only to fail in giving us a coherent monster mash. I now ‘get’ that film’s appeal. Visually stunning, thematically rich, genuinely frightening and unsettling: PROMETHEUS is a modern masterpiece. So it deserved a sequel, surely and especially given its links to the wider ALIEN lore. But much like Scott’s own ALIEN start up: there is nowhere to ‘go’, except to retread old franchise ground. Novelty and innovation: all gone in the name of trying to give the people ‘what they want’; whilst reclaiming a legacy Scott himself felt compromised by the inferior sequels which he’d passed on directing. But he will NOT compromise; he wishes to reclaim the whole franchise AND somehow play with bigger, more literate themes, whilst finishing both the PROMETHEUS project AND the ALIEN lore backstory. That’s an admirably driven mission in a man nearing 80. The kind of leader one would WANT to work for and thereby bring out their best (hence his collaborations with Russell Crowe and Micahel Fassbender: two of the greatest actors of all time). And Scott DOES invest COVENANT with his visual style, sense of landscape and fusion of science fact to fiction. Nobody can question the quality of Scott’s craftsmanship or indeed his philosophical literacy. Viewers get a visual feast AND a continued set of questions about mortality, sexuality and creation: the human condition, illustrated via space monsters. It’s just a shame that in so doing, we get neither new take on Alien nor extension of Prometheus. Consequently: pace, punch and pathos of the piece are all blurred, slowed and compromised. IE: Pirates AND Alien’s latest adventures have the same essential problem. They are anchored by Captains without clear course headings; conflicting aims and thereby an impaired method of delivery. Houses divided cannot rule. Neither Depp nor Scott are resentful or ‘phoning it in’. Indeed, both TRY to bring new things to the audience with some measure of good will. But they both know, deep (depp?!) down that there is little if anything to add to these specific iterations. Consequently we get a pair of curate’s eggs. Both films offer glimpses of genius, only to spoil that with mediocre padding that numbs any impact and sacrifices all potential. Covenant has Michael Fassbender give us yet another flawless turn, this time as twin androids, only to surround him with entirely disposable crew members, all of whom one can forget instantly. The attempt at having a macho save the day wisecracking Captain ‘Tennessee’ falls flat. He aint Dallas or Hicks: ie he’s just nowhere near as cool or charming as a Tom Skerritt, Michael Biehn or Idris Elba. Let him swear and wear Cowboy hats as much as you want. If there is not the core level of charm /charisma/conviction? Pirates sets up a simple and clear Depp vs Bardem revenge caper (ie SKYFALL meets PIRATES? ), only to have the central villain reduced to something barely beyond a cameo. We never even get a clear definition of what supernatural power Bardem’s character wields. Is he a Ghost? Zombie? Vampire? TOTALLY unclear. And underused! Just as in Alien: Covenant, we get egg laying face huggers that want to host in human bodies; but also some plain old fashioned animals that want to eat / kill us? Verisimilitude is neither film’s strong suit. But ALIEN at least can reinvent its monsters; where this PIRATES episode fails to even define its monsters powers /limitations. So: potentially great pitch as promised in the excellent trailers: drowned (!). But hey, the Pirates team think we want plenty of needless appearances from disposable British Naval types (none of whom come close to matching Jack Davenport from the original film) and a bizarrely bald sea-witch and so on. THEY JUST DON’T GET IT! I must stress that there ARE things to enjoy in BOTH movies. Pirates gives us a new leading lady in the divine Kaya Scodelario. How can I describe this vision of beauty? Well: imagine that the Gods had fused Nicole Kidman to Eva Green and still gave you an entirely new and refreshing screen presence. Then fall in love. Twice. THAT’S her and yet not even close to capturing her beauty. One glimpse is worth the admission price. Well that and the Bank Heist set piece and endless laughs and special effects. Equally, a ticket to ALIEN: COVENANT buys you panoramic shots of wheat fields, innovative lighting, stirring sound effects and compelling creature designs. Those treats are a thing of beauty not to be dismissed, especially in IMAX as film is ultimately a visual and sensual medium. But both entries are missable in the scheme of things; functioning neither as sequels nor prequels but awkward mixtures of both. Note to Hollywood: do NOT attempt that format again unless it’s of equal quality to Godfather 2 or Indiana Jones and the Last Crusade. So: how to move forward? Both series have life in them and sparks of potential that we do glimpse in the latest installments. Pirates could probably use some RISK. Mix the format up a bit? By all means retain Depp, but either relegate him to mentor / continued comedic relief status OR genuinely PUSH the character, whilst retaining the sense of fun. Orlando Bloom, Keira Knightkey and Kaya Scodelario could also anchor (!) a further film, maybe in the Captain Blood tradition. DON’T just bring back old villains. But maybe throw in some time travel? Just a thought. As for ALIEN? Let Scott finish his trilogy. He has earned the right to finish a work he envisaged. Just challenge him to do it more quickly and tidily. Indulge the man’s vision, but set limits on its expiration, with direct connection to the wider mythology of the franchise. Then let Blomkamp give us his take, maybe? Go on. Alien: Covenant and Pirates of the Caribbean 5 are perfectly adequate and remarkably unremarkable. But : hopefully NOT the final Chapters, because the occasional moments and ingredients in there do show glimmers of the genius that launched both series. You WILL enjoy the good bits on offer and have a good night out, just don’t expect to be wowed by anything new. Grade B- : BRING ME THAT HORIZON!